During the second millennium BC, a series of small Late Bronze Age kingdoms emerged in the populated but relatively backwards lands between the established cities of southern Mesopotamia and the southern shore of the Black Sea. Perhaps stimulated by the arrival of Luwians and Hittites to the west and the Hurrians of Mitanni to the south, Ishuwa was one such minor state. It was situated in eastern Anatolia, around the headwaters of the Upper Euphrates and immediately north of the Anti-Taurus mountain range. To the west were the Hittites, newly powerful after conquering the indigenous Hatti, to the north-east, across a vast plain which stretched to the Black Sea, were the equally newly-arrived Kaskans, to the east were the obscure state or states of Hayasa-Azzi, while to the south was Mitanni and Kizzuwatna. 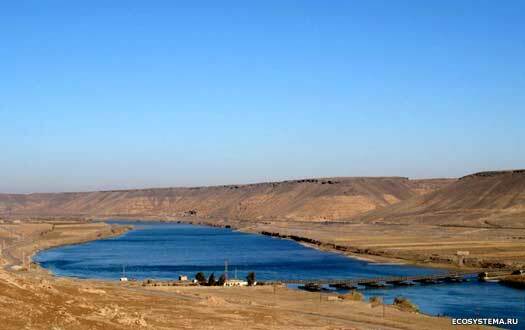 The state was centred on the river valley, which provided abundant rain-fed water, making irrigation much easier than it was in southern Mesopotamia. The area was perfect for intensive agriculture and the keeping of livestock. It was one of the places in which agriculture was developed in the Neolithic Period, and urban centres had appeared there from around 3000 BC, possibly influenced by the Uruk IV culture which saw a surge in early Sumerian city-building in the south and intensive trading in the north. That culture suffered a shock collapse (albeit brief), and nothing much is known of local events in Ishuwa until the Hittites began to record them (few sources of information have been found from Ishuwa itself). The state may have been little more than a confederation of tribes which united under a central figure in times of war. Unfortunately, even the names of most of its leaders are unknown. 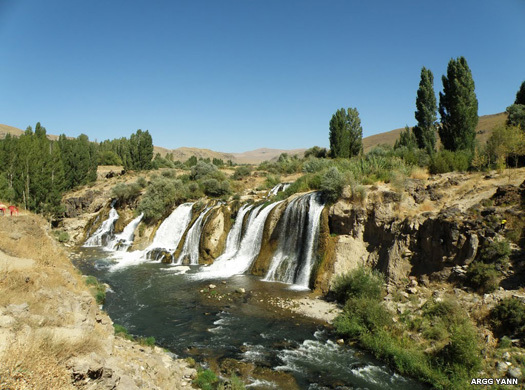 Today most of the former state's land has vanished beneath multiple dam projects in Turkey. Several sites were subject to archaeological digs as the first dam was being built, with detailed reports being produced for Ikizepe, Korucutepe, Norşuntepe, and Pulur, all in the region of the River Murat (the ancient Arsanias which forms the eastern Euphrates), which was probably the Ishuwan heartland. Hittite records would seem to agree with this. During its recorded existence, Ishuwa was constantly under threat of attack by the usually powerful Hittites, or by Mitanni as the two vied for supremacy around the Taurus Mountains. There is the possibility that the state's name, transcribed as Išuwa from Hittite records, originated in the proto-Indo-European word for horse, making it the 'horse land'. That name, Ishuwa, may also have been responsible for the formation of 'Asia' by the Greeks to describe the lands of the east (see feature link, right). What its own people called the land is unknown. Those people seem to have been a mix of Hatti, Hittites, and Hurrians, making them a hotch-potch of Neolithic natives and two different groups of Indo-European migrants. Although there may not have been an single capital, the city of Milid or Melid was certainly a focus of the resistance to Hittite attacks and was heavily fortified. The name is an Indo-European word which means 'honey'. The Hittite word was 'melit', while in Palaic (the tongue of the Indo-Europeans of north-western Anatolia who were wiped out by the Kaskans) it was 'malit'. Melid's location pre-dated the arrival of the Indo-Europeans as a settlement, but a layer of destruction around 3000 BC may coincide with their arrival, after which they clearly took command there and renamed it in their own language. In later periods it was known as Melitene (modern Malatya in Turkey), by which time it was part of the kingdom of Khilakku. The first urban centres appear in the region. Neolithic farming had long ago been developed in this general region around eastern Anatolia (amongst others). It also seems to have been from eastern Anatolia that Neolithic farmers began migrating in the seventh millennium BC towards Europe to create the Sesklo culture and bring farming to Europe. Around this time though, 3000 BC, a destruction layer appears in Melid which may coincide with the arrival of Indo-European migrants from the Caucuses. The Hittite king, Hattusili I, marches across the Euphrates and destroys cities in Ishuwa. Archaeologists have discovered destruction layers which are comparable with this date. The Hittites may lay some claim to Ishuwa and its fertile lands, one which is later refuted and perhaps even disguised by the Hurrians of Mitanni. Alternatively the Ishuwans may pledge allegiance to the Hittites, voluntarily becoming 'a servant of the Sun', a deal upon which they later renege when the Hittites are weaker. Kizzuwatna occupies a wide oval of territory between the Hittites to the north and west, and the increasingly powerful state of Mitanni to the south and east. The state concludes a treaty with the weakened Hittites (with King Telipinu, although some modern sources say Tudhaliya II (I), which with the dating used here place that king at least fifty years later than this event). Kizzuwatnan pottery around this time is fairly primitive, but by the end of the fifteenth century or so it has spread to the neighbouring Ishuwan folk to dominate there too. With the Hittites at a low-point in terms of power and influence, neighbouring Kizzuwatna is conquered by Mitanni. With Ishuwa also independent of Hittite control (and now a vassal of Mitanni), the Hittites are contained in central Anatolia except for the south-eastern Taurus passes into Syria. Ishuwa is defeated by the Hittite king, Tudhaliya II (I) and then sides with Mitanni, probably for protection against their more aggressive western neighbour. Tudhaliya is unable to take Ishuwa, revealing the limits of Hittite power in this period, so he successfully attacks Kizzuwatna instead. Whichever side is responsible for the outbreak of hostilities, the Ishuwans respond by becoming more hostile to the Hittites in subsequent years as Mitanni to the south seeks a strong alliance with Ishuwa against their common enemy. The Kaskans suffer the loss of their grain to locusts so, in search of food, they join up with Hayasa-Azzi, Ishuwa, and the Lukka, as well as other Hittite enemies. The devastation to the grain crops may also have been suffered by others, making it not only easy to get them all to unite but highly necessary, and the Hittites may be taken by surprise by the sheer forcefulness of the attack. It is possible that Ishuwa receives support, or at least encouragement, from Tushratta of Mitanni to join the attack upon the Hittites. Recent Hittite resurgence suffers a knock when their fort of Masat is burned down, but then the capital, Hattusa, is itself attacked and burned. This disaster personally weakens the position of the Hittite king but seemingly does little to set back the Hittites themselves. The Hittite king, Suppiluliuma I, crosses the border with his troops, and claims to make Ishuwa a subject state. The conquest is part of a general Hittite advance across southern and eastern Anatolia, and it gains them a good deal of Mitanni territory in northern Syria. The state of Ishuwa continues to be ruled by native kings but now they are Hittite vassals. Native king. Name found on clay seal. Ari-sharruma is known only by a seal impression which is found by archaeologists in Korucutepe. Shown is the figure of a god and the name Ari-sharruma, who is a local king as indicated by the 'KING' sign. His name is accompanied by that of Ki-lu-s-he-pa, which is known from cuneiform texts as being the name of a woman, presumably Ari-sharruma's queen. Also present is a sign which appears to refer to a daughter. All the indications are of a snapshot in the existence of a native royal household. Kilushepa is the half-sister of Gassulawiya who is married to Benteshina, king of Amurru, for at least part of his lifetime. It is unclear whether this is before or after his attempts to take advantage of his Hittite allies in light of recent Egyptian military successes. Benteshina is defeated and deported to Hattusa and later finds favour, having his throne returned to him with an exchange of marriages. Native king, but a vassal of the Hittites. The Ishuwan state may fall victim to the disasters of the end of the thirteenth century BC. Following the fall of the Hittite empire and the period of disruption which follows, it is not mentioned again in any records. Instead, a neo-Hittite state called Kummuhu emerges in the region, centred on the city of Melid, while the kingdom of Urartu eventually emerges to the immediate east. The native Ishuwans are subsumed by these new, dominant states and by the sixth century their land is occupied by the newly-arrived Armenians.